Try One Month of Free Yoga! I've heard yoga is expensive, what kind of investment am I looking at? Do I need to buy a lot of stuff? Watch our video above and we'll show you how you'll have most everything you need right in your home! The subscription is only $5.99/month for unlimited access to our library of over 40 videos of yoga and meditation practices. For context, one class at a yoga studio typically costs $15 per class! Currently we have over 40 yoga videos. These videos range anywhere from 3 minutes to 30 minutes. 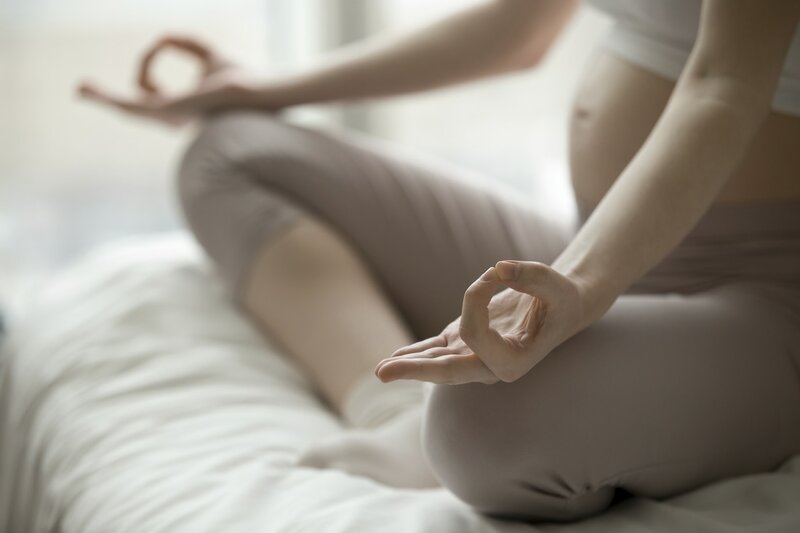 Our hope is that these shorter practices can help make yoga a more regular part of your day to day, especially as life gets hectic and overwhelming as we prepare to welcome a new baby into our home or navigate those first weeks and months of parenthood. You will find practices at all levels that are accessible even if its your first time practicing yoga. You'll also find we've grouped our videos by category to help you more easily navigate our video collection and find a video that will specifically address your body's needs at that moment. Still not sure? You can watch free previews of each of our videos or begin your free 1 month trial right now to check it out! It seems like there are so many more pregnancy videos than postnatal videos. Why? All the yoga videos for pregnancy are also applicable (and perfectly safe) postpartum, and believe it or not you'll have a lot of familiar aches and pains in your body post-baby as you did while pregnant! Go back and revisit your favorite prenatal videos postpartum and then add the additional postnatal videos for specific focus on core, pelvic floor and some other problem postpartum areas. Explore yoga practices that are safe for every stage of pregnancy. Get help as you navigate your ever-changing body and ensure you stay healthy and strong throughout your pregnancy. Once baby arrives, you have so many new demands on your time! Take the time to nourish yourself and address the aches, pains and exhaustion of new parenthood with supportive yoga practices. Exhausted? Sleep deprived? What new parent isn't? Explore a variety of resources to help reduce stress, calm anxiety and help prepare you for pregnancy, childbirth and parenthood. Subscribe to over 40 yoga videos to safely guide you on your journey from pregnancy to mama-hood.